THE PICKIEST EATER IN THE WORLD: HELP ME BECOME THE OFFICIAL BLOGGER AMBASSADOREO! Hi friends! I really need your help with something.. 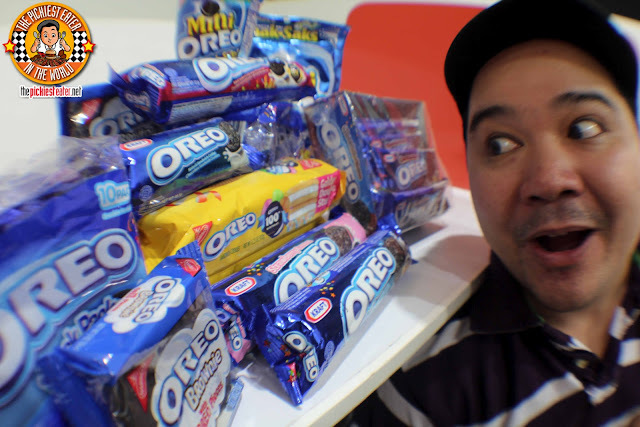 I need to collect "100 Oreo moments"..
or memorable slice of life with Oreo. It could be something as simple as taking a break with an Oreo amidst a hectic day, or something as grand as an Oreo saving someone's life. it's not going to be easy completing 100 "Oreo Moments"
In that short amout of time. Please send me your favorite "Oreo Moment"! It can be a photo or a video..
or anything that helps depict your "Oreo Moment"
Remember, Oreo helps bring out your inner child, so play around with that.. Creativity will play a huge role in their decision, so feel free to think outside of the box! by joining Oreo's GET DUNKED contest! I REALLY hope you guys could support me on this.. If you could send in your entry by no later than July 25, that would be great! I Appreciate all the help I can get! so I can include it in my entry! Thanks so Much Berylle! I'm gonna bring some oreos tomorrow and take some pix with you guys if you dont mind!!! Thank u so much Roxy! As many as u can and as creative as u can! Send me naman a pic with an oreo Justinne!! I'm sure they will, Karen! Thank you for the help!! been busy with work... i forgot about this!!! BTW where did you get the Brownie Oreos?!? !